Make sure people die, while you dance through the shadows in an attempt to meet the enchanting Betty The Maiden. Felix The Reaper is a 3D adventure game/shadow puzzler romantic comedy game about death, in which your job is to make sure people die by solving death puzzles. Felix the Reaper is developed by Kong Orange. 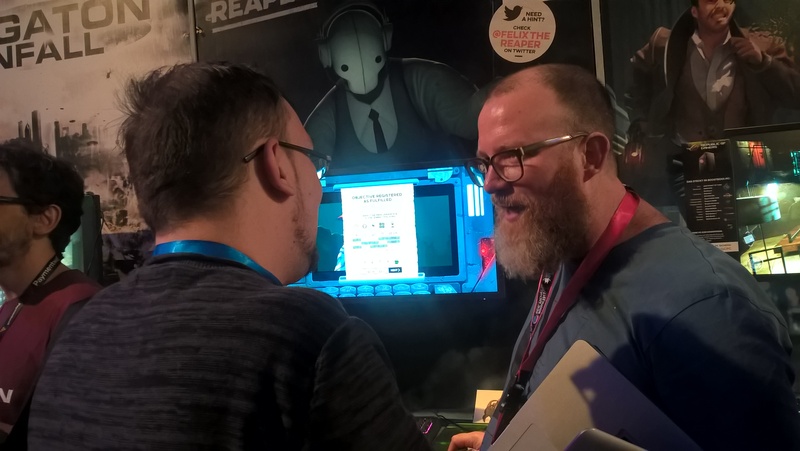 During Gamescom we had the chance to talk with CEO and designer of Kong Orange, Esben Kjær Ravn. We asked him about his inspiration behind the game, since Felix the Reaper feels like a Terry Pratchett character and the world he “lives” in has a similar absurdity, but we were surprised when we heard that he actually took inspiration from different historic eras, with an absurd spin. The story behind the game is simple but deeply romantic and that gets enhanced with the likeability of Felix as a character, a Reaper who learned how to dance in order to conquer the heart of Betty. In the game Felix will have to pass the Reaper test, that is making sure people die by solving puzzles. Felix the Reaper will be availlable early next year and you can learn more about the game through its Twitter and website.